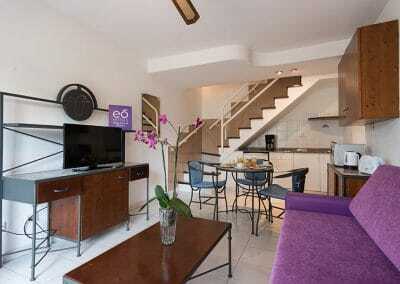 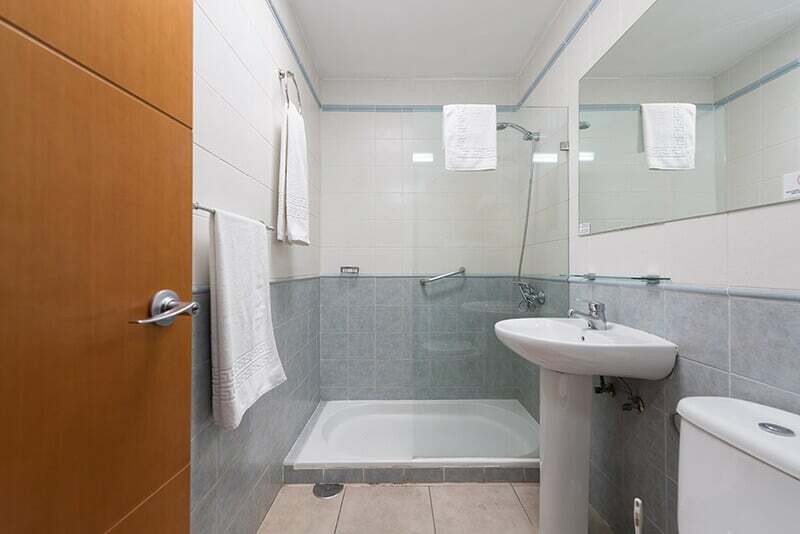 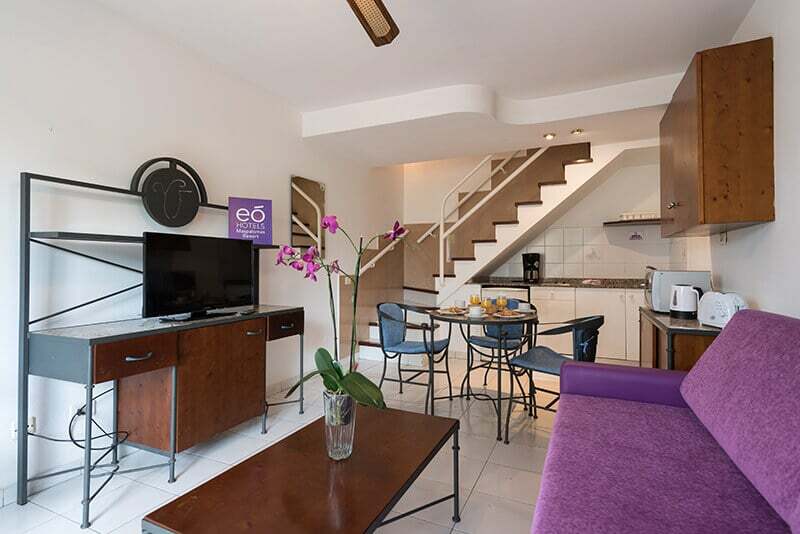 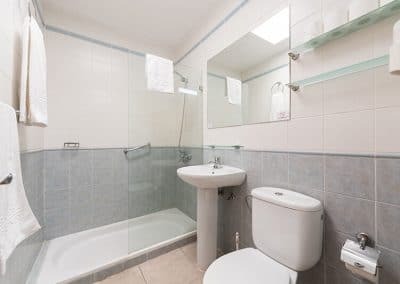 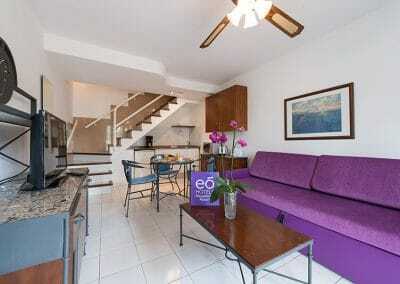 The convenience of an apartment with the services of a hotel. 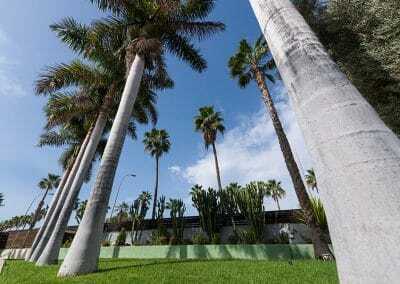 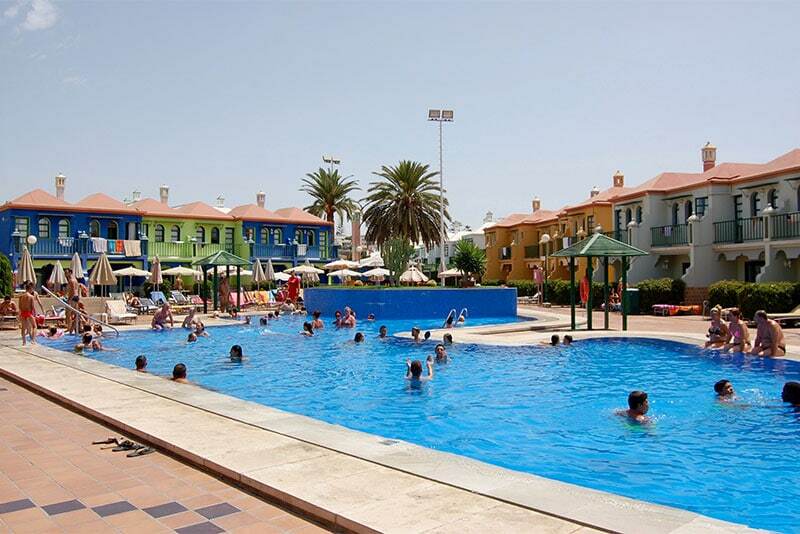 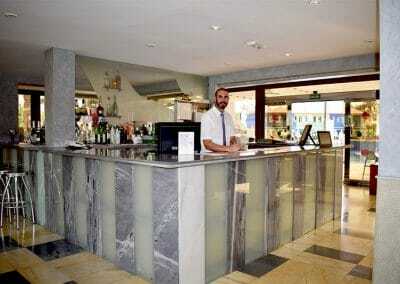 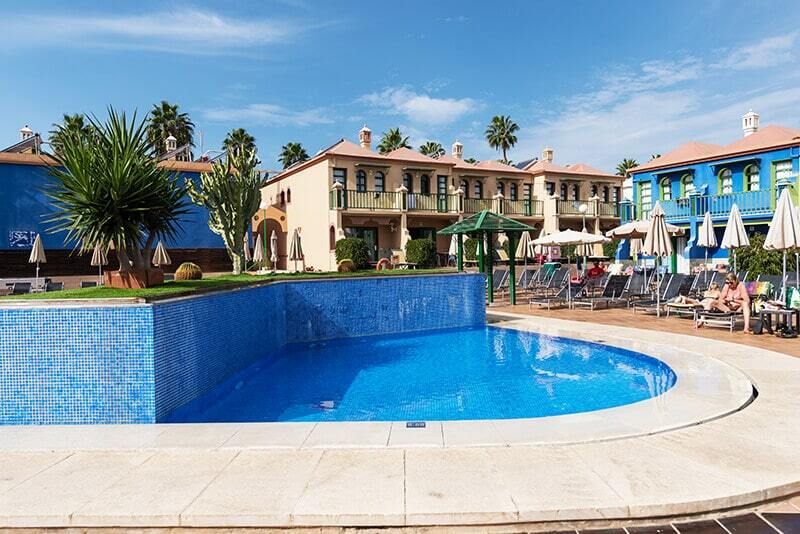 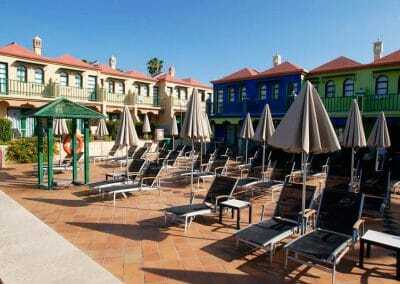 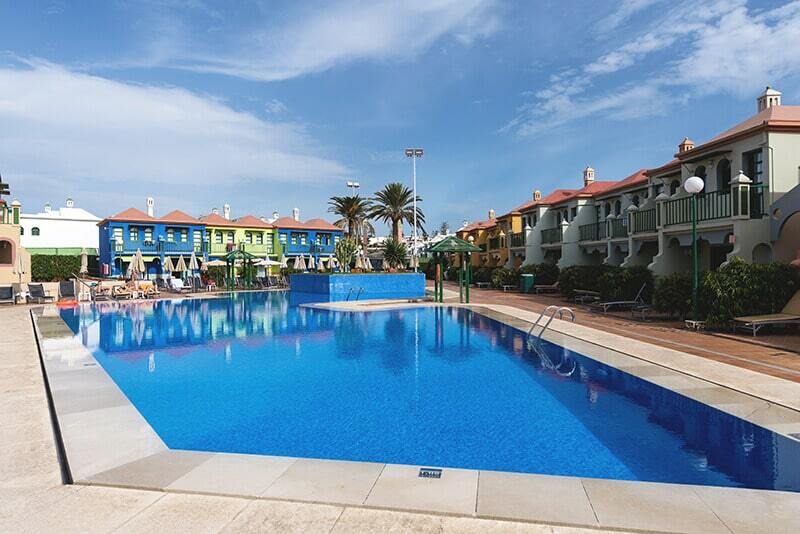 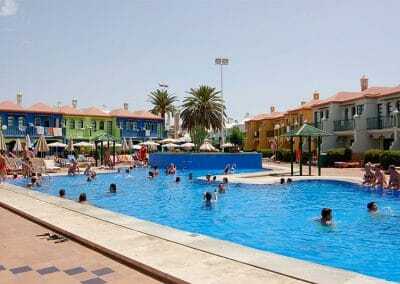 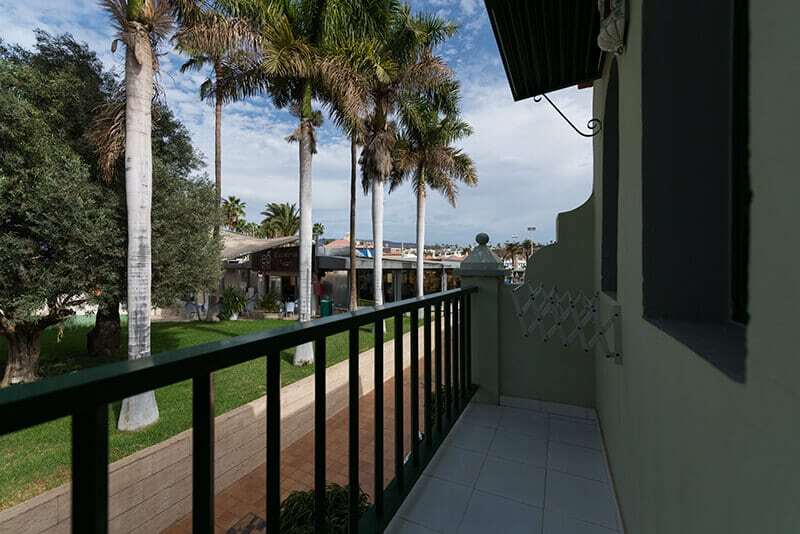 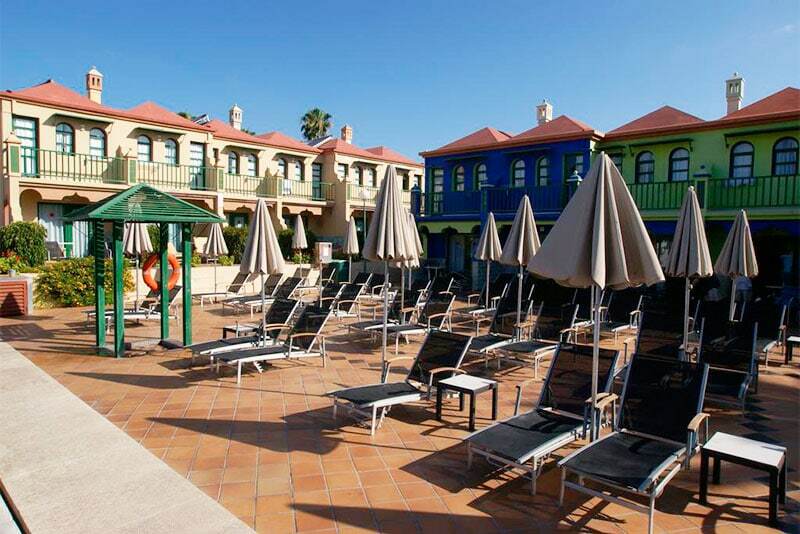 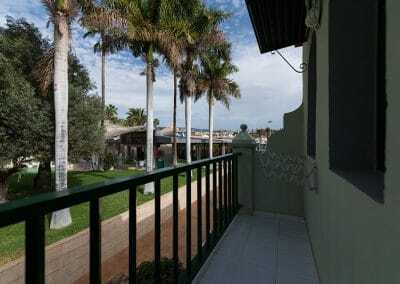 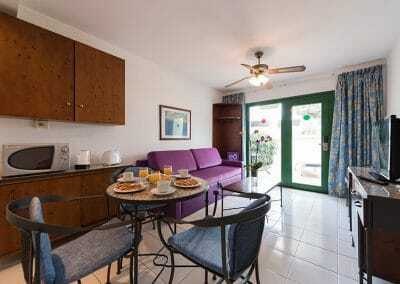 Apartments in Maspalomas with free cancellation and payment at the hotel within certain rates. 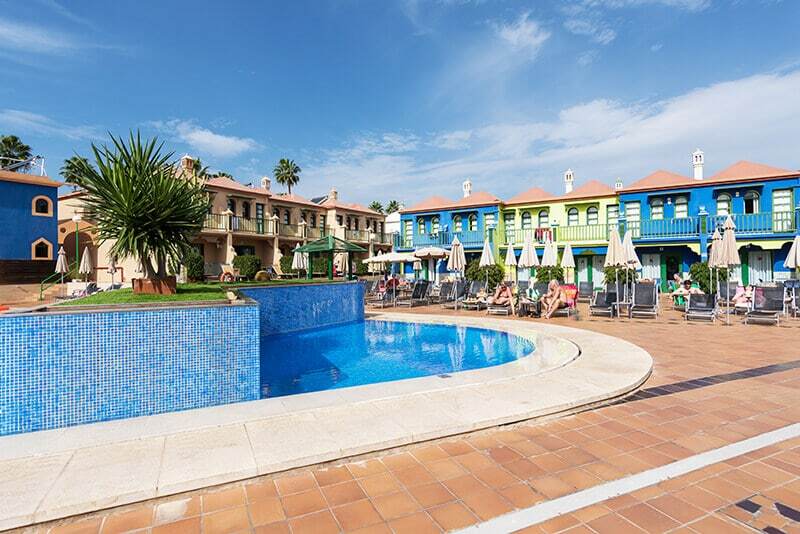 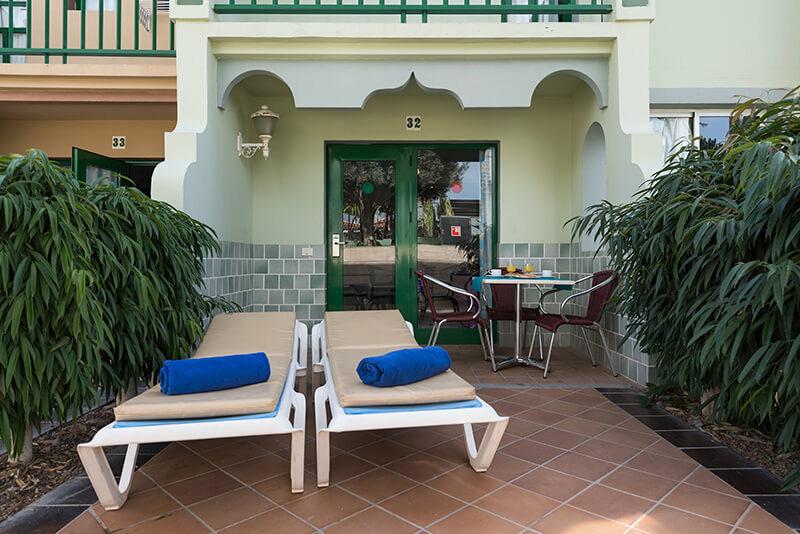 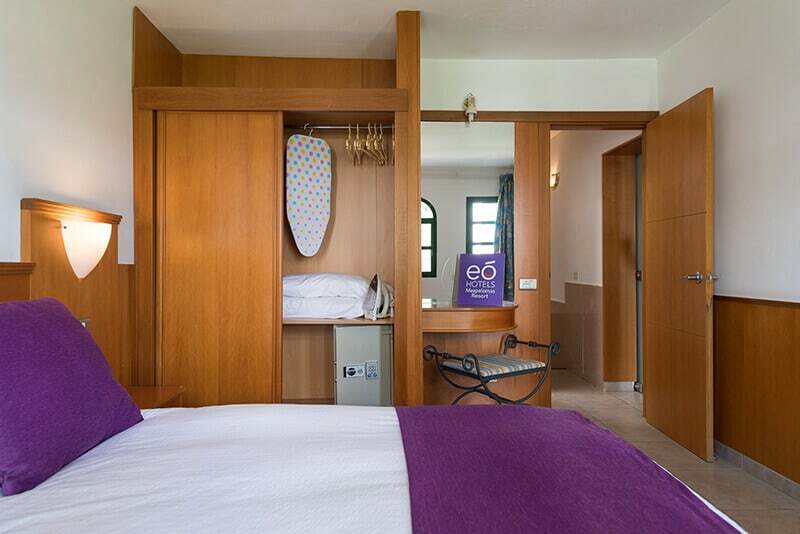 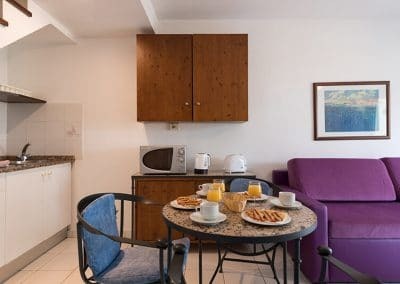 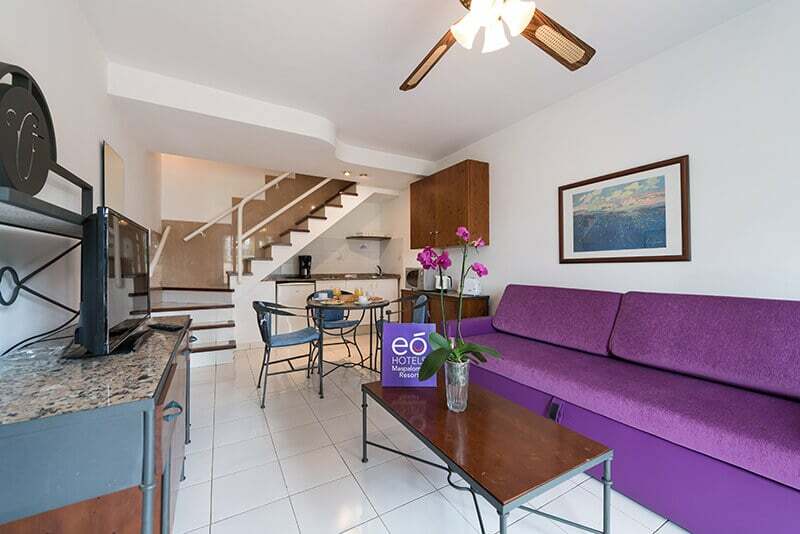 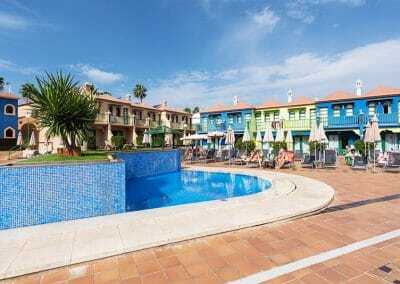 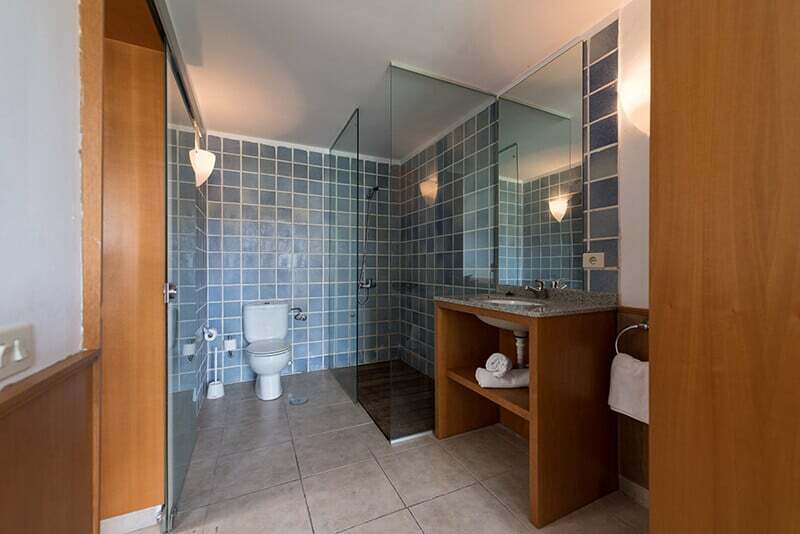 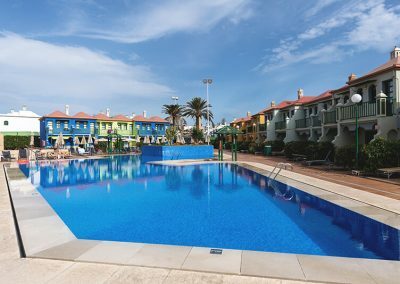 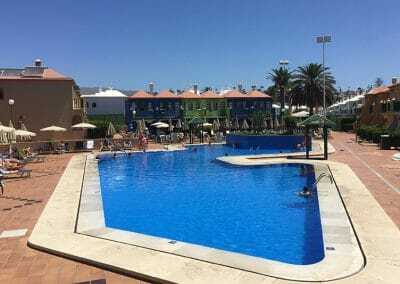 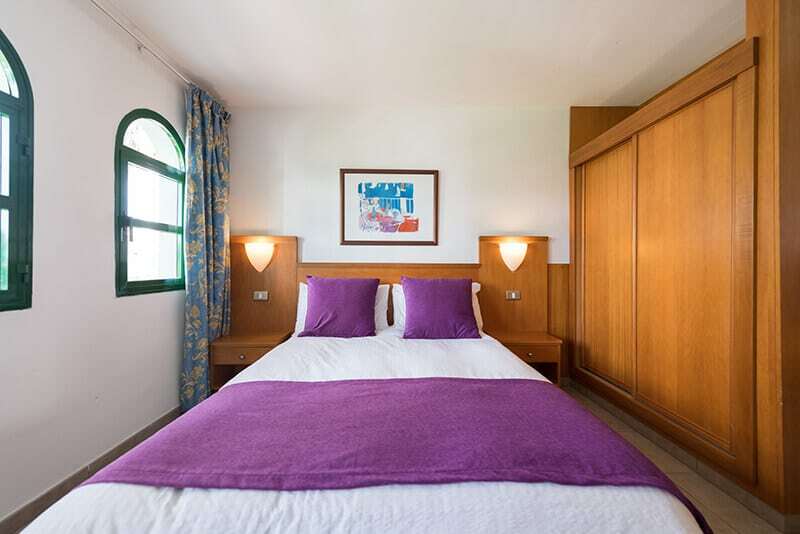 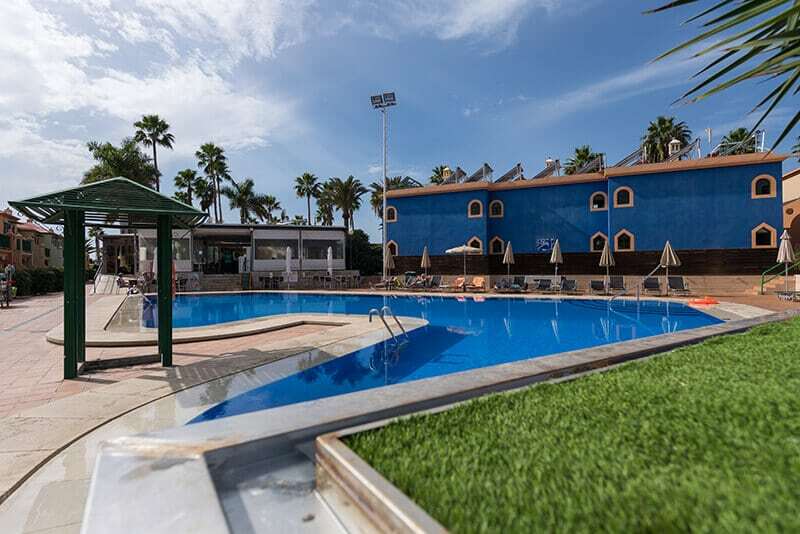 Comfort and convenience are top priorities at eó Maspalomas Resort with its twin-level apartment-style rooms, set out around the two swimming pools, the restaurant, and extensive gardens. 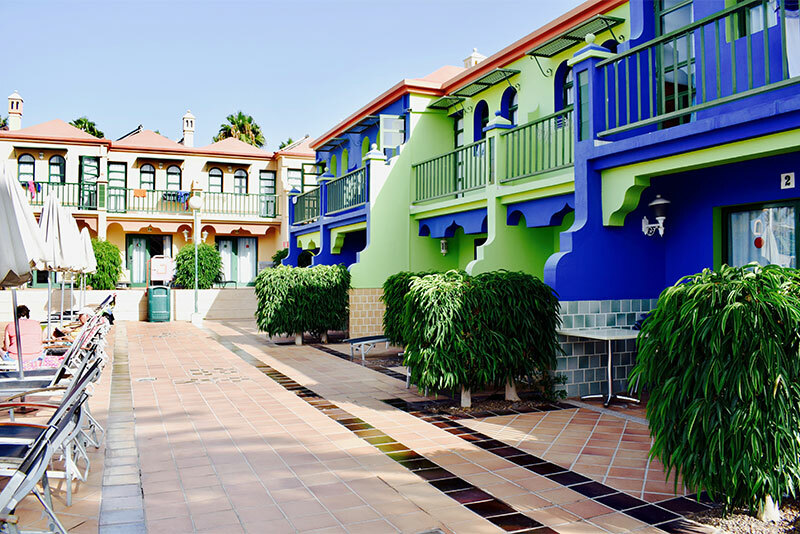 This means that as well as being peaceful and independent, everything is only a few steps away, making this a very welcoming resort. 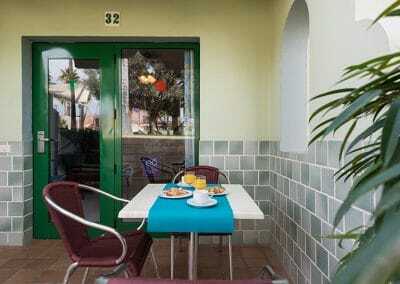 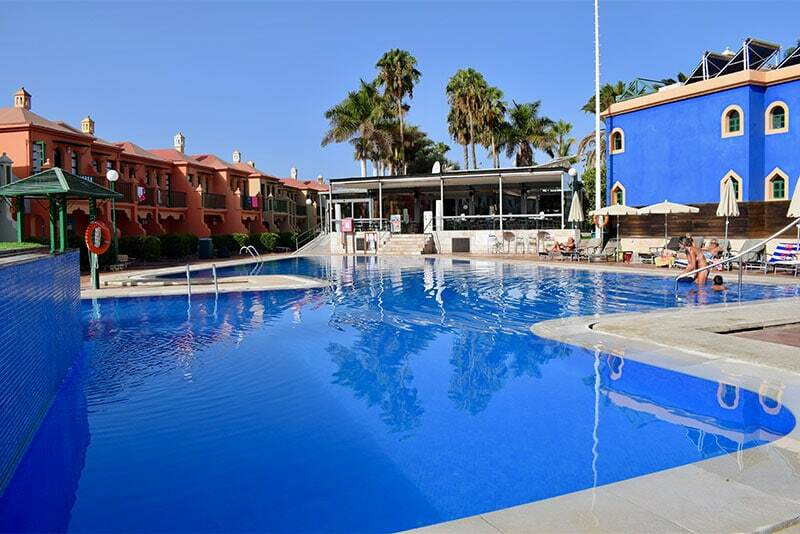 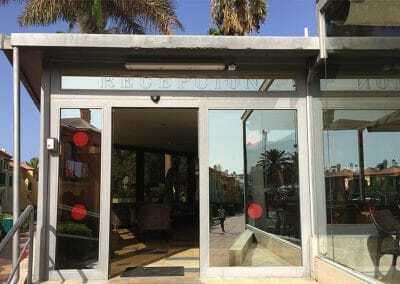 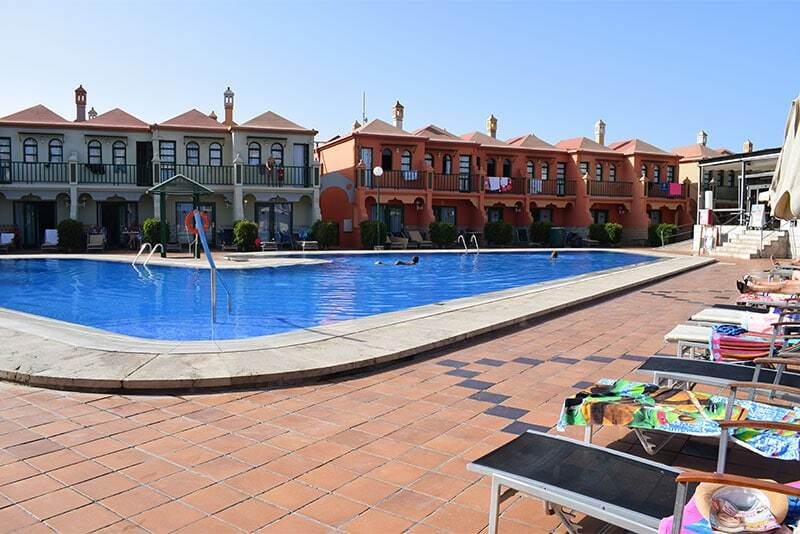 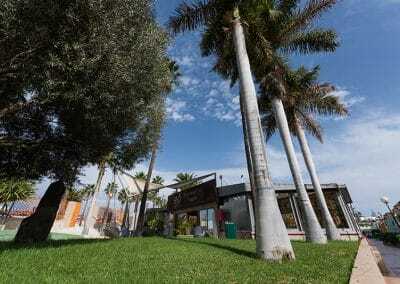 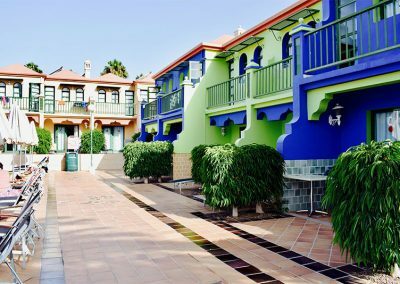 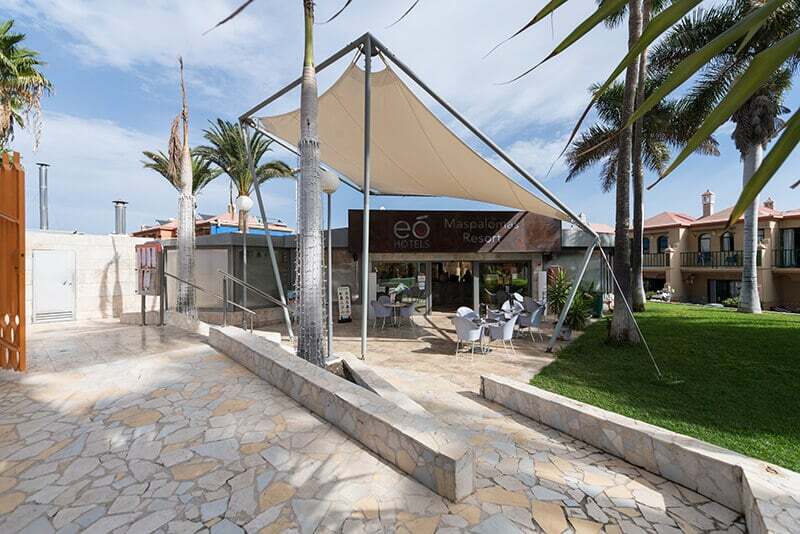 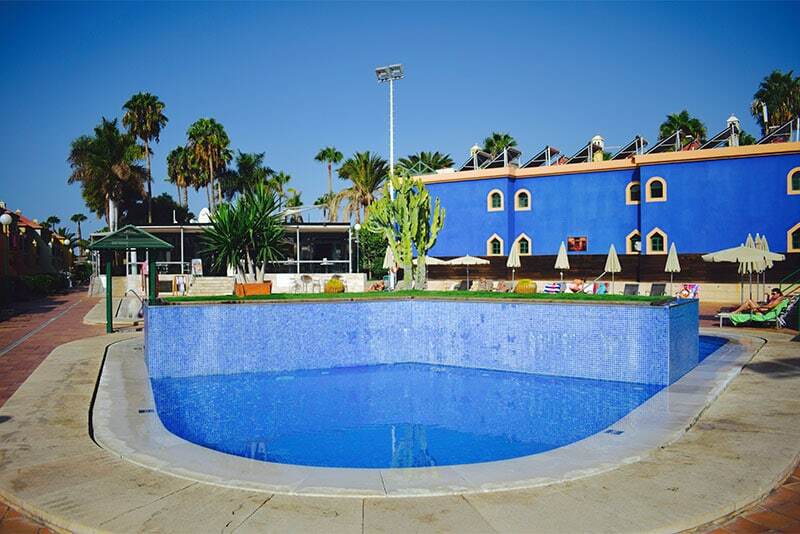 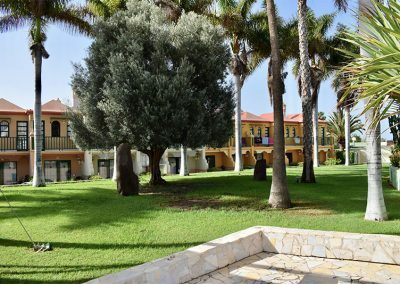 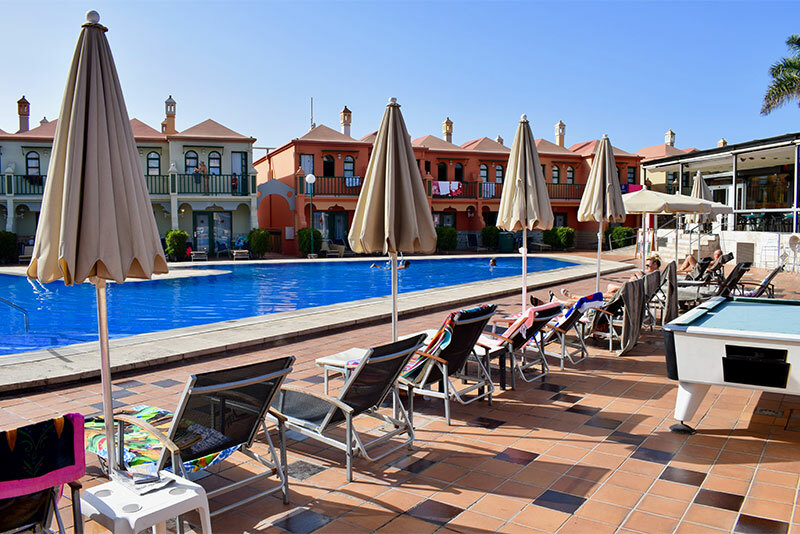 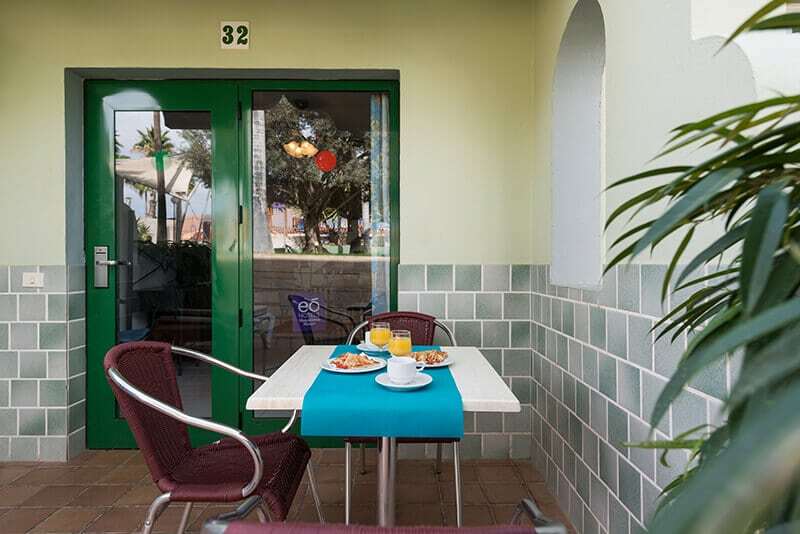 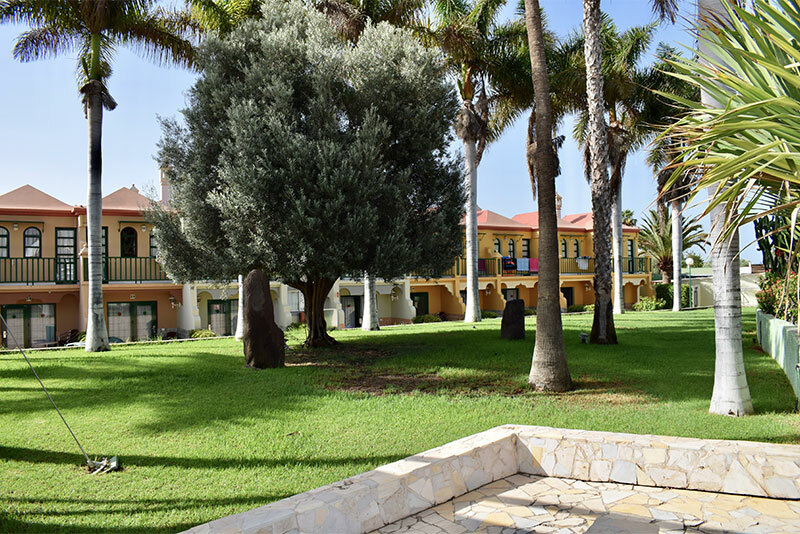 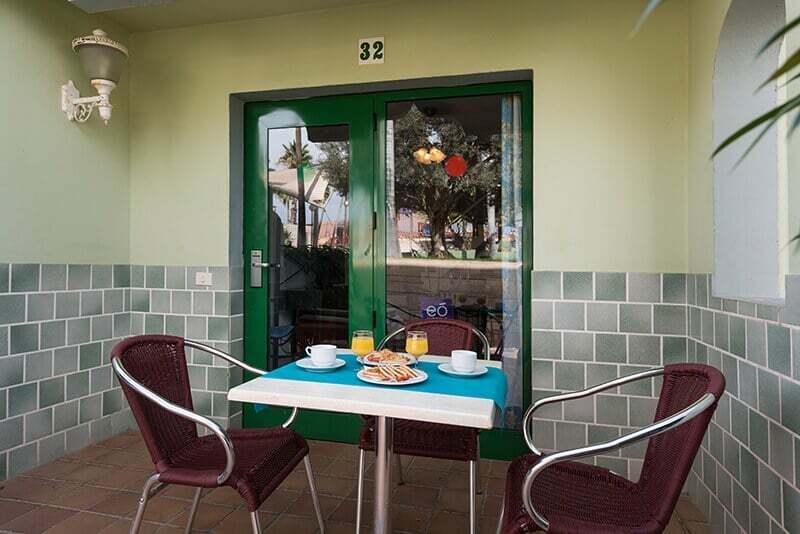 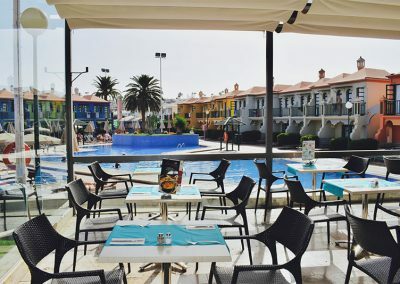 Located beside the Maspalomas Golf Course and very close to the sand dunes of the Maspalomas Beach, the complex has a restaurant with terrace. 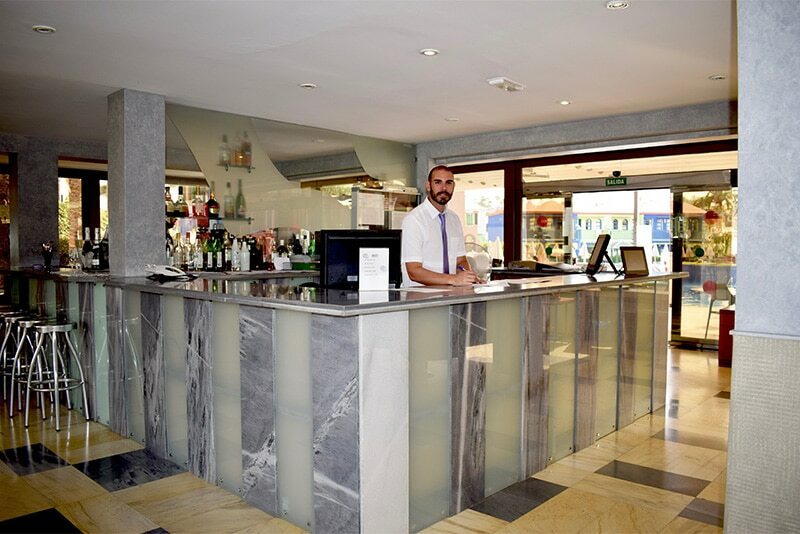 As well as having your breakfast or half-board service here, you can enjoy your favourite drink, or have lunch or dinner à la carte. 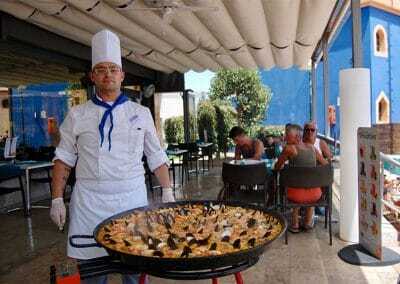 On certain days you will also be able to have a delicious Spanish paella prepared by our chef right there on the terrace. 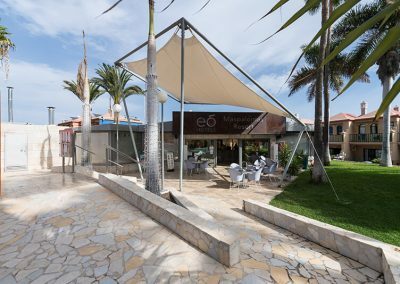 And if you want to book an excursion, a tour or you simply need information about the Maspalomas and Playa del Inglés area, staff at reception will give you friendly advice about what you need, and possibly in your own language. 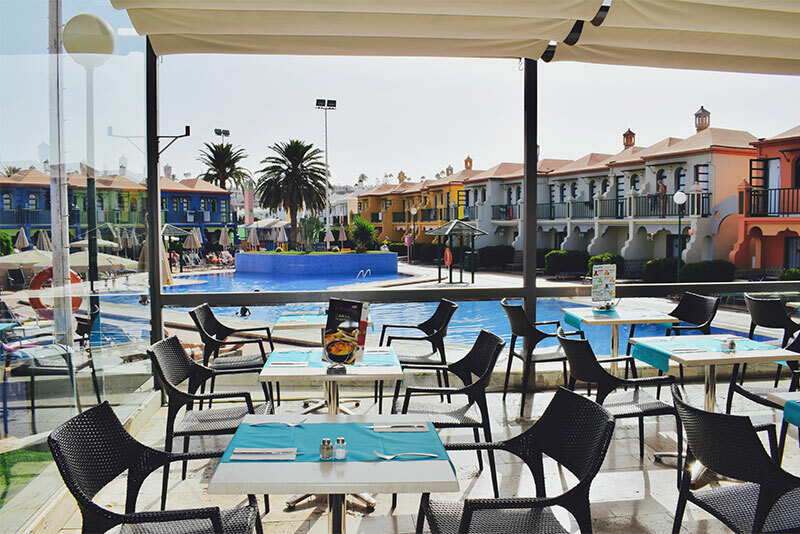 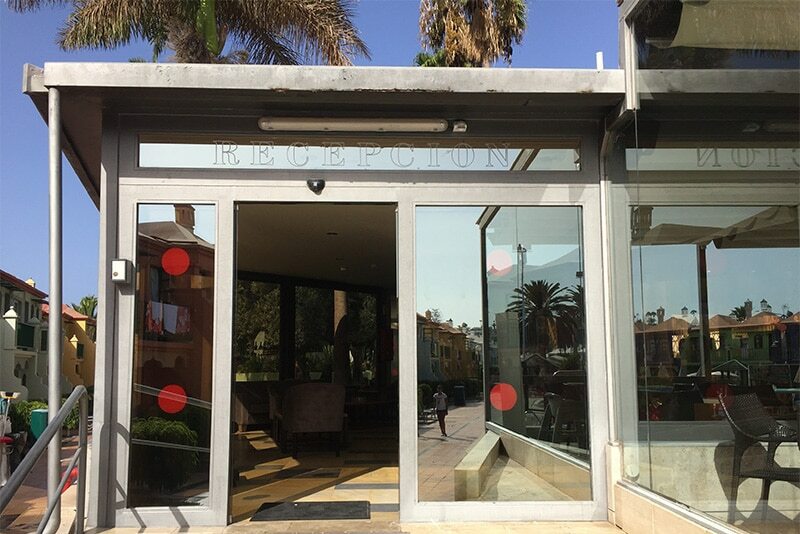 Free wifi connection is available in the reception area and on the terrace, so you can be connected to internet and share your holidays on your favourite social network. 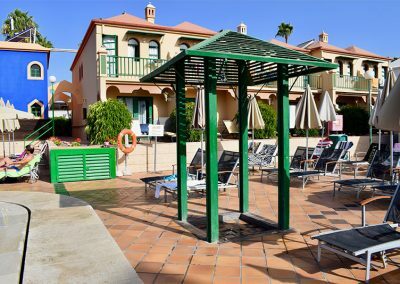 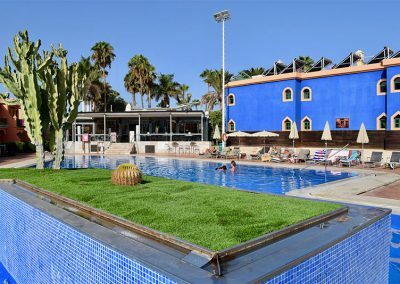 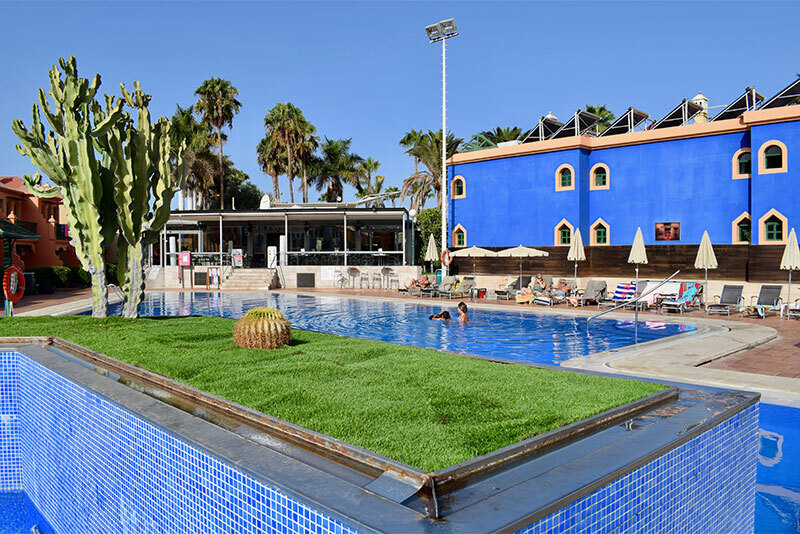 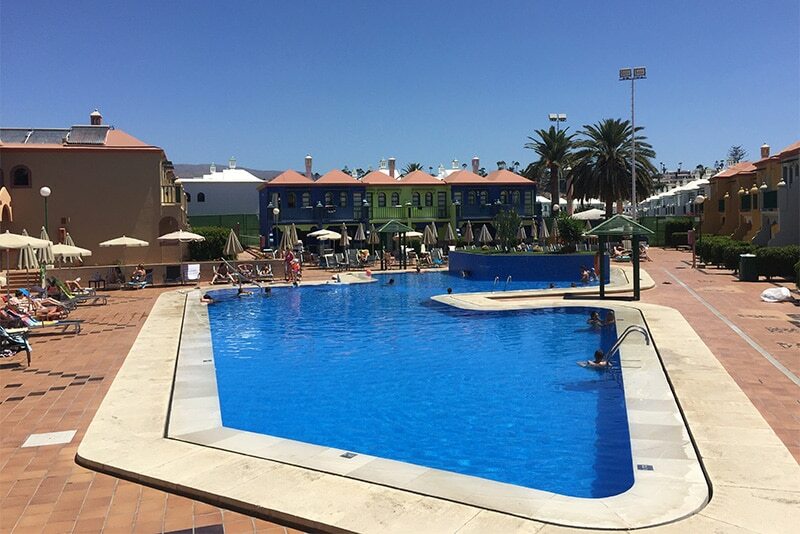 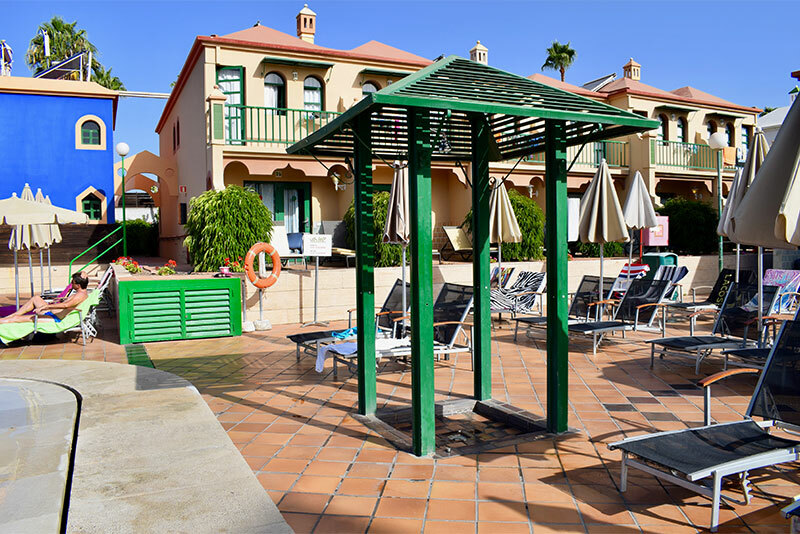 The complex’s two swimming pools will offer you both safety, and peace and quiet, since as well as a qualified lifeguard, there are luxurious loungers, and refreshing showers, meaning you can enjoy your moments under the Gran Canaria sun to the full. 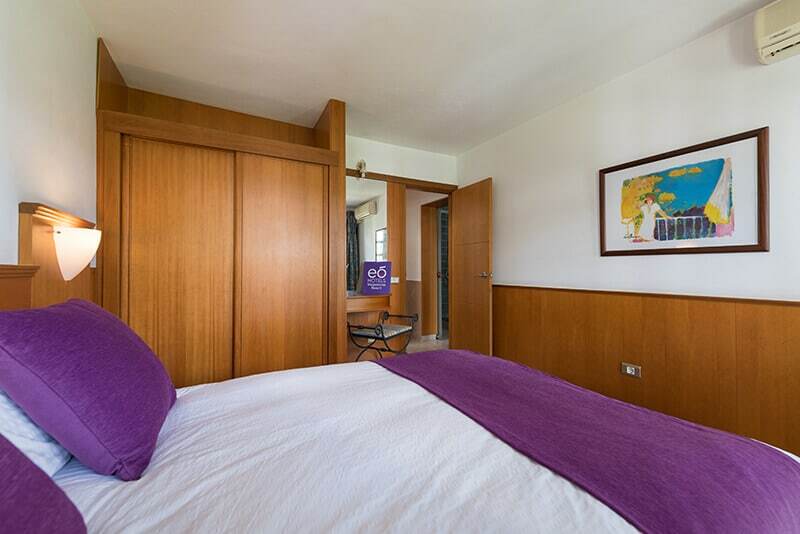 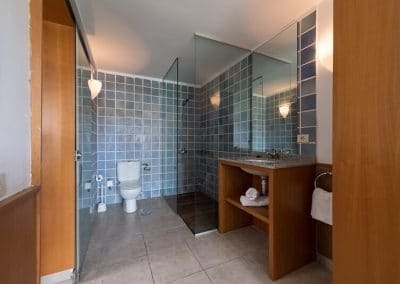 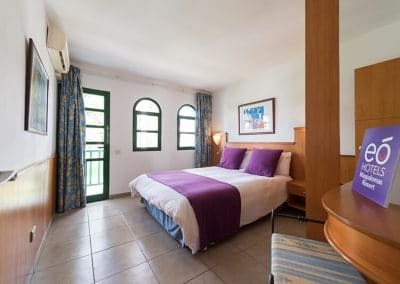 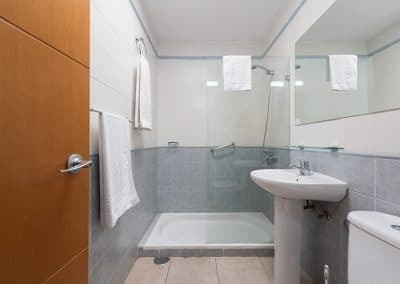 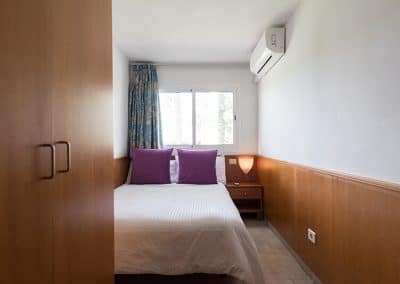 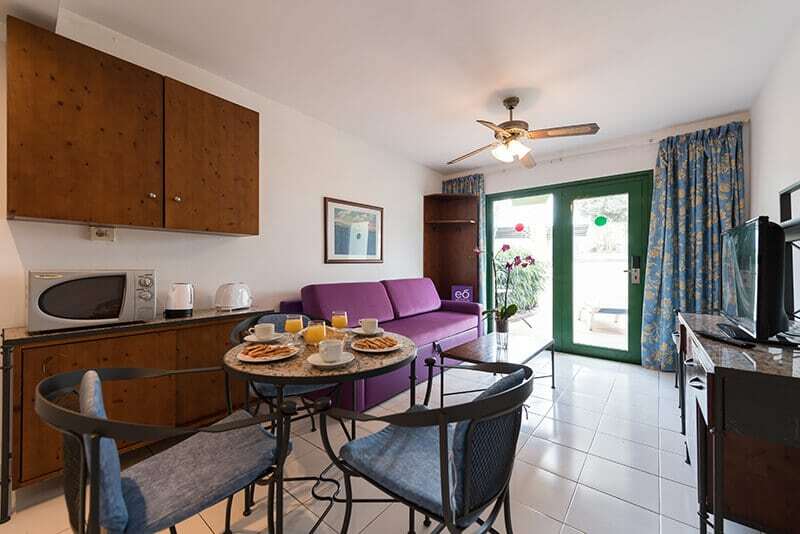 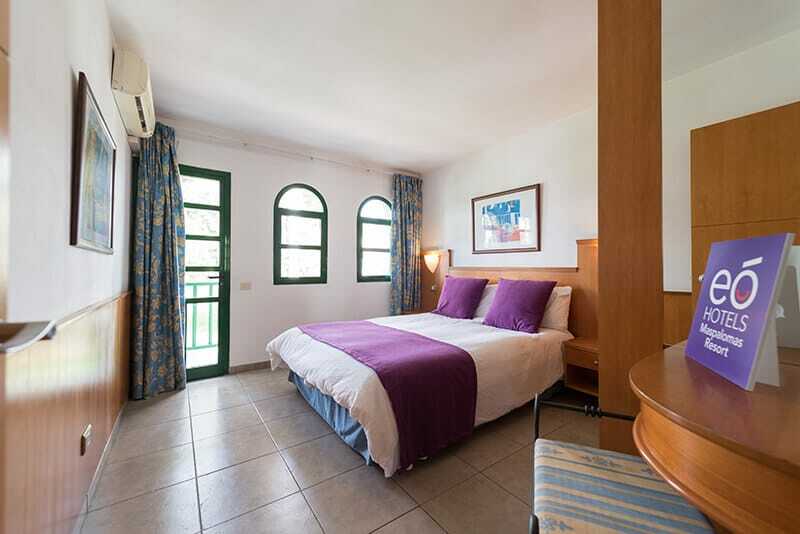 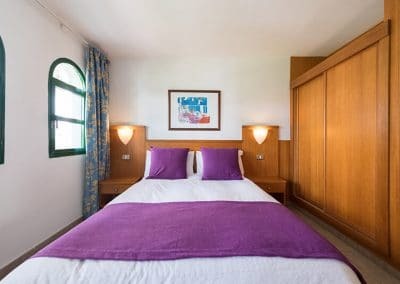 Next to the Resort is eó Maspalomas Villa, a comfortable fully-equipped luxury dwelling which boasts great privacy and an extensive garden area in an independent single-storey building of 190 square metres, with 300 square metres of garden, private parking for 4 vehicles and a second sun deck of around 90 square metres. 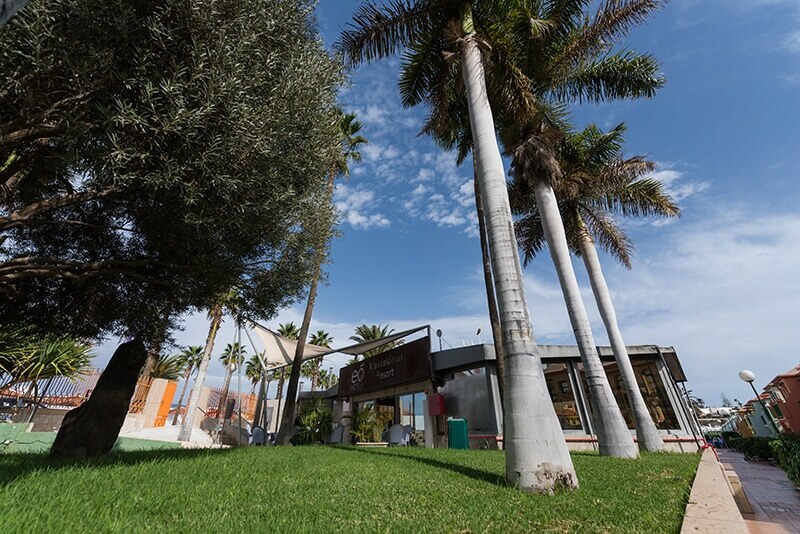 Le Club Restaurant, open from 9:00 a.m. to 10:00 p.m. With breakfast, lunch and dinner a la carte. 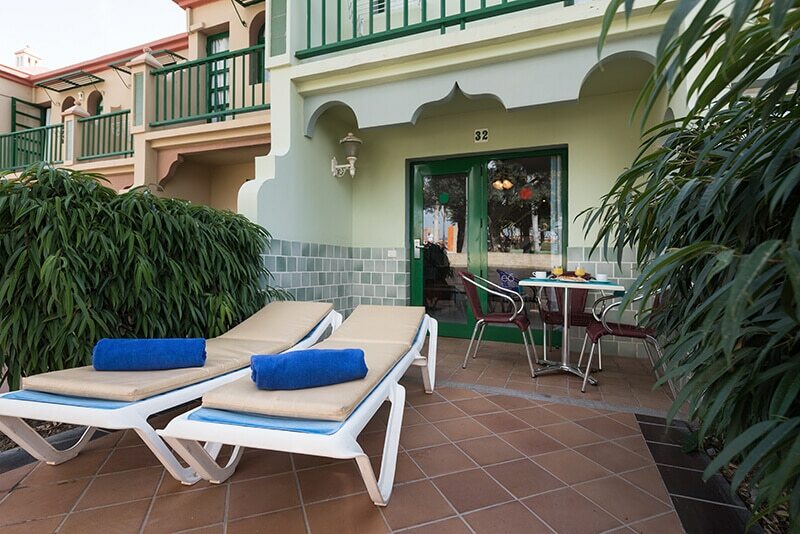 Pool towel service. 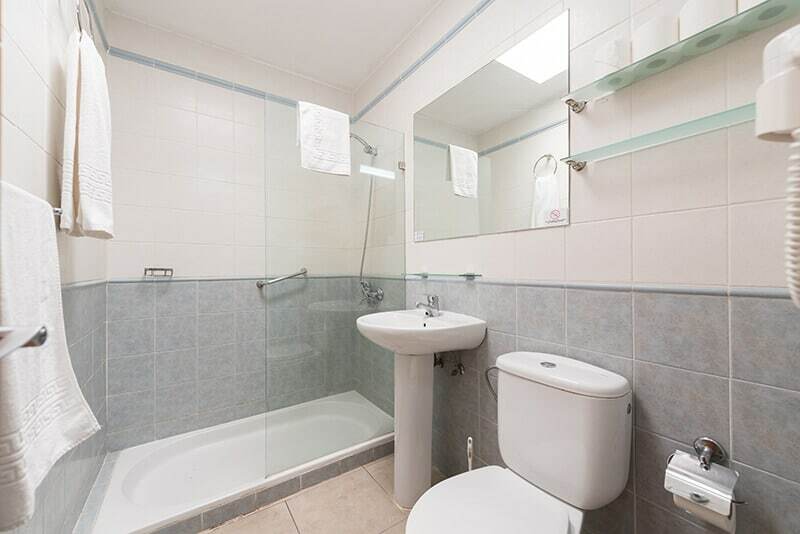 Deposit required.